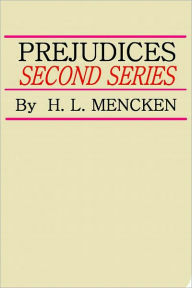 Mencken’s Prejudices: Second Series is dominated by his masterpiece essay “The National Letters.” For readers of the first volume of Prejudices, there is nothing here unexpected. For much of the volume, Mencken sets aside the literary criticism and begins making broader social and political commentary. Mencken rests his analysis of these other subjects on the same general theory: America is a cultural wasteland of conformity and stupidity. However, by moving toward an analysis of democracy (as in his reading of Prohibition) and of institutions (as in his reading on marriage), we start to see a diagnosis that may lead to a cure. This post, however, will focus on the first three essays in the “second series,” considering respectively the history of American letters, Roosevelt’s political career, and the South. “The National Letters” begins with the vision of Emerson and Whitman of creating a true American literature. Whether inspired by the North American environment and climate or its political distinctions, nineteenth century writers believed that it was possible to break off the burden of Europe. This is dangerous from the beginning. For Mencken, the lack of a national aristocracy was part of the problem facing American culture. This is not praise for wealth of elitism. Mencken tended to think that the American capitalist class led the pack in terms of banality and conformity. What the aristocracy had—for better or for worse—was access to wealth that could lead to an independent life. Unlike American politicians, the aristocrats did not need to care what the majority thought. Unlike the American capitalist class, they did not need to worry about fashion or trends. They could create (or at least support people who could create). Mencken often uses the term “aristocracy.” He does not really seem to mean a landed class of heredity nobility, but rather a class with the capacity of intellectual autonomy. The American artists who come through democracy with a genuine creativity do so with great difficulty and may emerge harder for it, but it is nevertheless a rare thing. So let us come right out and say it. Mencken’s position, if correct, is the best aesthetic argument for something like a basic income. Oscar Wilde stated it directly in The Soul of Man Under Socialism. He argued that under socialism, people will be freed from the mundane emotional burdens from which charity arises. It seems that point is that creative people will not need to spend their time (1) at mundane jobs, (2) producing works that satisfy the demands of the market, (3) get bogged down in political arguments that turn art into polemics, and (4) worry about meeting the needs of spouses, children, parents, and fellow citizens. We could all become aristocrats, each potentially independent. Obviously Mencken does not argue this (at least not in the first two volumes of Prejudices), but I think his essays lead us to a similar position as Wilde’s. the American plutocracy as well, but they are in general as ridiculous as the masses, and perhaps more so because they do not have the excuse of poverty.) In the end, Mencken rejects any solution, but reminds his readers that creativity is born in rebellion against the nation, whatever those values may be. Democracy is not the problem so much as democracy being a national creed and club used to beat down dissent. In Theodore Roosevelt, Mencken saw the promise of an innovative political thinker corrupted and mislead by democracy. 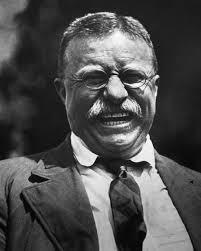 In a sense, Roosevelt was a symptom of the problem facing America culture. He was a believer in good government and had more in common with a turn-of-the-century European statebulider than the other “progressive” of the era, Woodrow Wilson. But he had to embrace the language and style of mob politics. Mencken goes on to describe Roosevelt less as an autocrat and more of a craftsman of governance. But as he had to work with what Mencken called the “third-rate” parts of the American people, there is not much he could do, except win the popular victories and fall just short of greatness. When the other option was the moralism and naivity of Wilson, maybe Mencken was onto something. Has the United States had a president since Johnson that really understood how to use power, not just how to acquire it? Oh well, I think he got this one wrong.